President Barack Obama wasted no time keeping a couple of his politically popular, but controversial campaign promises, among which was issuing a directive last Thursday to close the military prison at Guantanamo Bay, Cuba by this time next year. Thus, for Americans the war on terror is over. The Post has a talent for understatement: President Bush did a lot more than create a definition of the war on terror, and Americans will do well to remember all that he did. Who would have thought on September 12, 2001, the day after 19 radical Muslim murderers hijacked and crashed four airliners, killing nearly 3,000 Americans, that more than seven years later the United States would not have had another terrorist attack on its soil? For a time the country united behind President Bush and his efforts to protect the American people. But we Americans have become soft over the last few decades; we don’t understand hardship and we have short memories. Whereas after the Japanese attacked the U.S. Naval Base at Pearl Harbor in 1941, killing more than 2,000 military personnel, that memory and the pain that accompanied it lingered for decades. When the U.S. retaliated against the Japanese, the country was united behind that action. For many Americans the pain from 9-11 lasted only as long as it took Mr. Bush’s political enemies to find causes around which to rally, like the Iraq war and efforts to thwart terrorist activities. Almost as suddenly as that pain developed after the planes crashed and the buildings collapsed, it vanished in a puff of political smoke. Mr. Bush’s efforts have protected Americans, but they also provided a level of comfort and security, leading to complacency about further threats. Complacency bred contempt, and some Americans replaced worrying about terrorist attacks with hysteria over the government's intercepting international phone calls trying to disrupt international terrorist activities. And soon thereafter they began to fret about whether U.S. personnel at Guatanamo Bay were making sure the murderers captured on the battlefield got first-class treatment and plenty of beauty sleep. It sometimes appeared they were more concerned about protecting the rights of suspected foreign terrorists than protecting the nation. Mr. Obama’s stated policy is sharply at odds with the Bush administration’s approach, to the great pleasure of Mr. Bush’s liberal critics, to whom President Obama is beholden for his nomination and subsequent election. On the subject of the war on terror, Mr. Obama said, "We intend to win this fight. We're going to win it on our terms." Our new President also said he didn't want to have to make a false choice between successfully waging war against terrorist organizations and maintaining U.S. human rights ideals in the process. "This is following through not just on a commitment I made during the campaign but an understanding that dates back to our Founding Fathers, that we are willing to observe core standards of conduct — not just when it's easy but also when it's hard," the President said. But before the President’s signature on the order to close Guantanamo Bay was dry, we learned that a former Guantanamo Bay detainee who was released a while back has become a high ranking al-Qaeda operative in Yemen. Al-Shihri was released from Guantanamo Bay to Saudi Arabia in 2007 after denying involvement with terrorists or terror activities, and was put through a Saudi rehabilitation program for former jihadists before resurfacing with al-Qaeda in Yemen. Al-Shihri is a suspect in the bombing of the U.S. Embassy in Sana, Yemen that killed 16 people last September. Obviously, releasing these people to certain countries is not an acceptable solution. 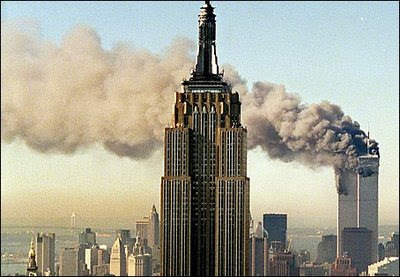 The tactics employed by the Bush administration produced results in identifying terrorist and planned terrorist attacks. But in the case of Mr. Shihri, even those effective techniques are not always successful. Could the reaction to the outcry against aggressive interrogation techniques have been a factor? This begs the question: If the methods employed by the Bush administration and so loudly and roundly criticized by Mr. Bush’s political enemies failed to reveal Mr. Shihri’s true character, what are the chances that the “not Bush” policies endorsed by the Obama administration would have produced a more satisfactory result? And what does that say about future anti-terror efforts? Will intelligence officials be better equipped to discover and thwart terrorist activities under Mr. Obama? That President Bush protected us from deadly enemies may not seem like much of an accomplishment in today’s soft culture, particularly to those who criticize the methods Mr. Bush allowed. But his accomplishment may be more fully appreciated if President Obama waters down those effective tactics in order to curry favor at home and abroad. Lofty principles are a worthy goal for Mr. Obama and the United States. But if his softer approach toward terrorists leads to or allows another terrorist attack here at home, Mr. Obama’s Presidency will drown in the blood of dead and injured Americans. Is any principle worth that sacrifice?